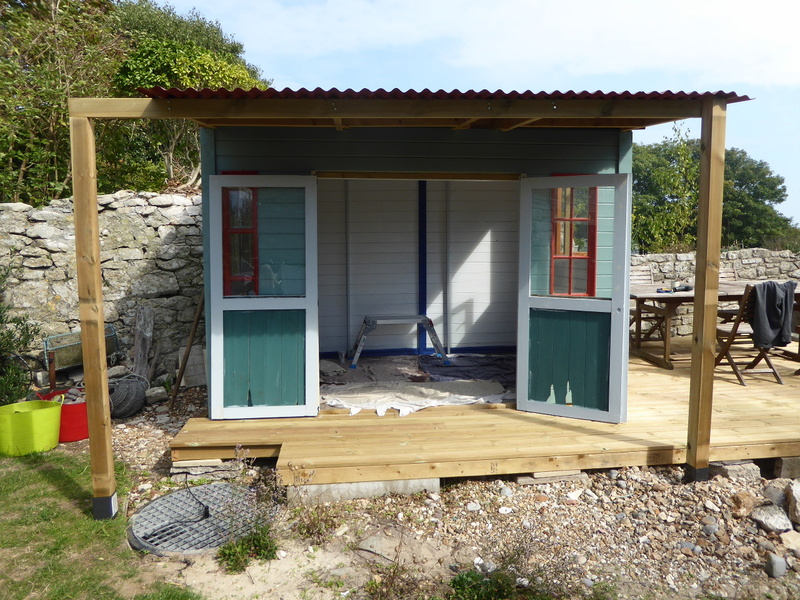 This month has been a series of stops and starts, but the garden beach hut/ studio/summerhouse is nearing completion. I have started my second in a series of 3 Scilly Isles pictures of Old Grimsby on Tresco but had to put it to one side for the more urgent set of 3 smaller pictures for the Athay Gallery. I decided to do the 3 Portland lighthouses and have had a delightful few hours sketching them in the warm sunshine. 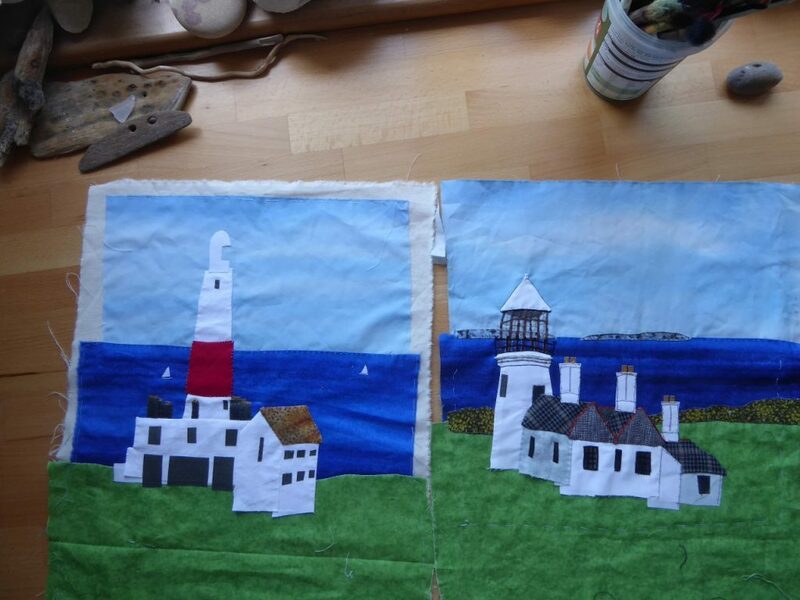 I started The Old Higher lighthouse first and have left it to make a start on the next two, so they work as a set of three as well as individually. 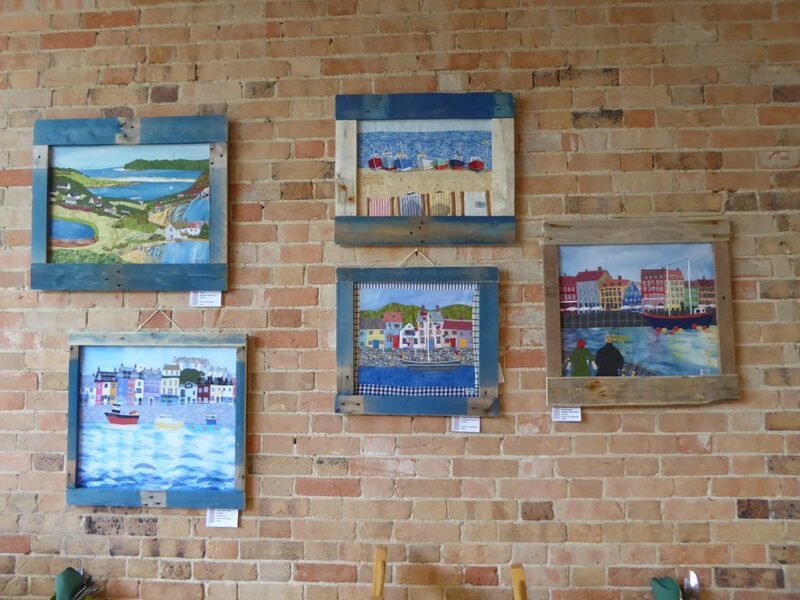 I have been exhibiting in The Engine Room, Poundbury with Neil and Menikos all month and am due to changeover to Café Oasis, Weymouth on 13th September, so you can catch my work in either place. In between my art work has been making a quilt top for my yet to be born 4th grandchild. 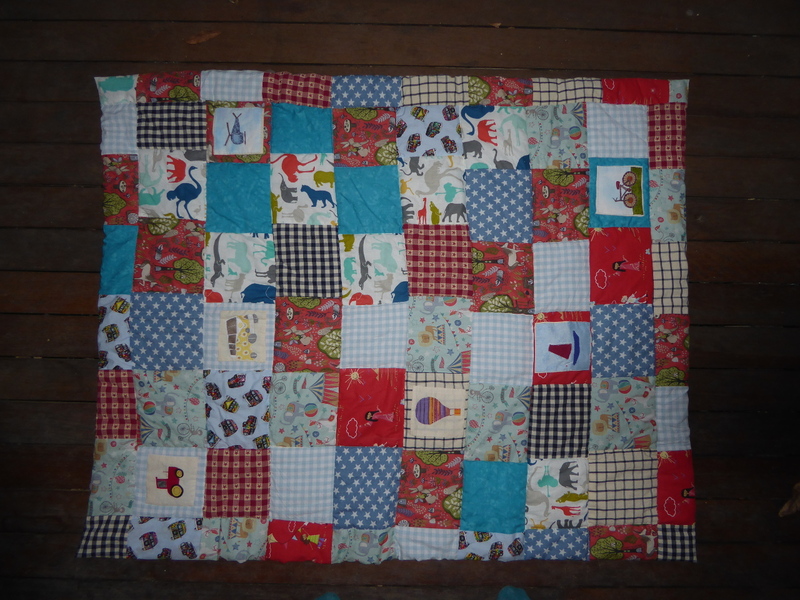 This is a family quilt which all the family here, Copenhagen and Australia contribute to the stitching. 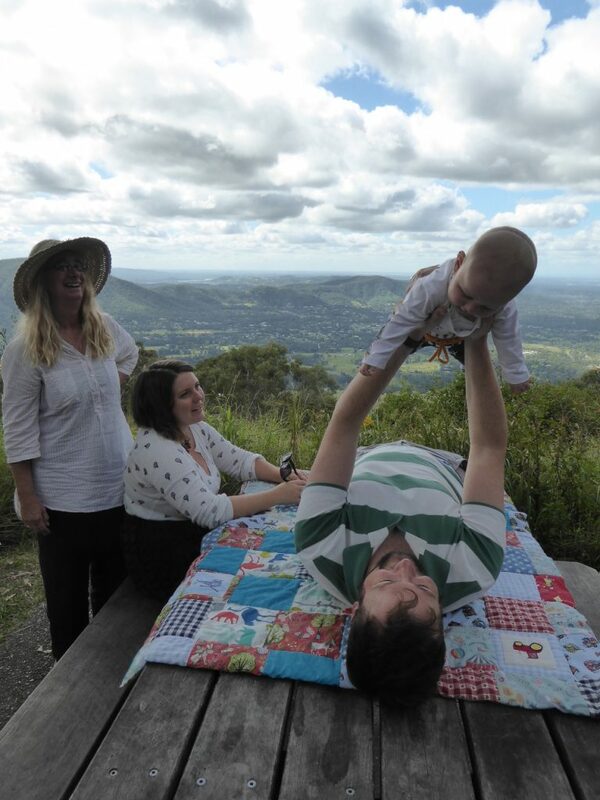 We take photos and make into a photobook for the new baby to introduce to their far-flung family. 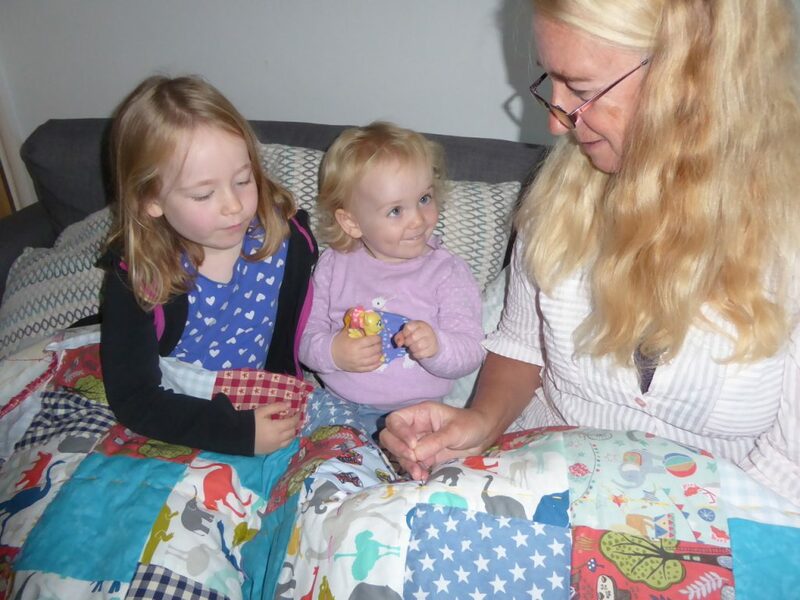 I have done one for each grandchild so far, so I can show you pictures of these but the latest one is a secret from my son and wife, so you will have to wait until after Easter next year to see the latest. Also spent a long time on admin, which you will not want to hear about but suffice it to say that Open for Art 19 is promising to be a great event and Artwey, of which I am chairman, is buzzing with new members. 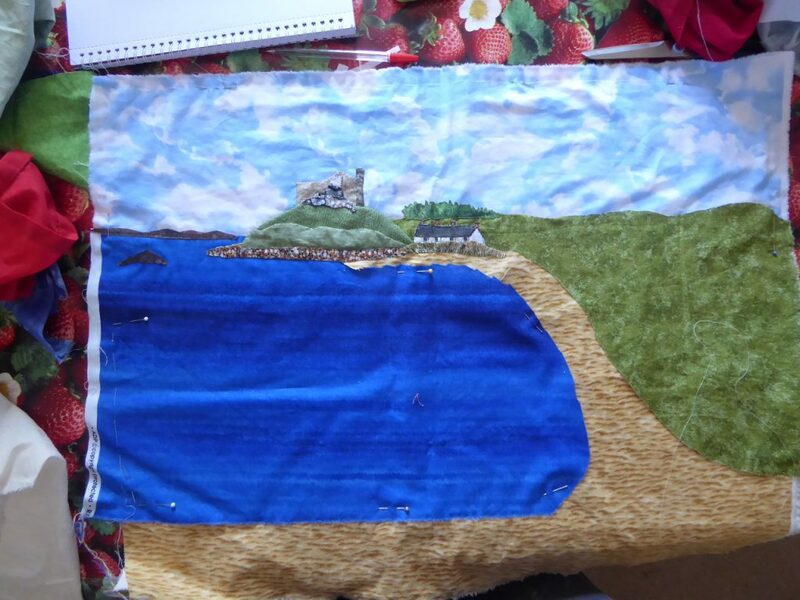 I am looking forward to the Artwey Penn Castle en plein air event, hoping it will be still, warm and dry. It’s on 12th September and if you want to view us and the castle grounds you need to get one of only 200 tickets from The Hayloft on Portland. We will be exhibiting our creations from that day on 5th, 6th and 7th October in the Hayloft, so you can come and see the finished results. Later in September is the official opening of the Athay Gallery on Portland, Friday 21st September, here is the link for tickets. I will be there and over the weekend, cannot wait, it should be a very exciting event.